Instec-corp | What Lies Ahead in 2017? 2016 has been a year full of paradoxes for the insurance industry and system vendors alike. Insurers continue to find themselves in a highly competitive market, while emerging opportunities such as cyber, drones, and driverless cars offer promising opportunities for growth. Interest in policy administration systems remains high, yet the market for core system replacements is shrinking1, and a consolidation of vendors through mergers and acquisitions has picked up pace. 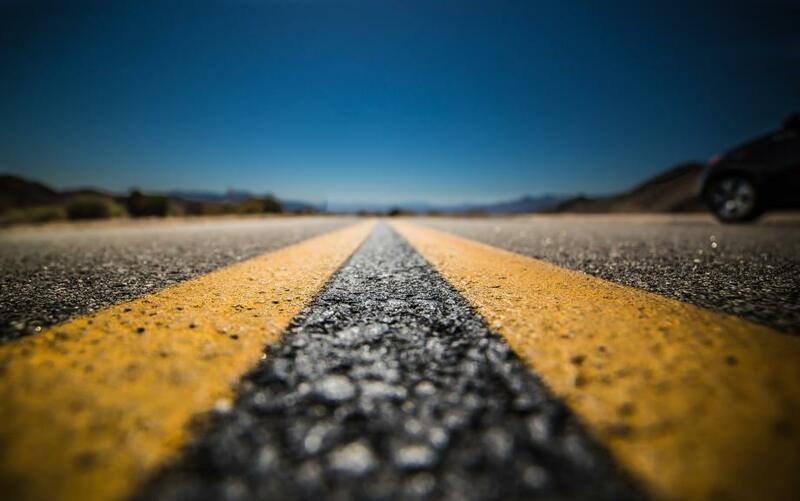 As Steve Jobs famously said, "you can't connect the dots looking forward; you can only connect them looking backward. "2 While that may be true, recent market activity can provide some clues about the market’s trajectory, and the future of core systems. So, as 2017 emerges, we look back at the year just ending, and ahead at what’s in store for the industry in the new year and beyond. In 2016, the commoditization of capital and technology reached critical mass in the insurance industry, lowering barriers to entry and creating fierce competition. New startups began shaking up an insurance industry that Andrew Rear, head of Munich Re’s Digital Partners, calls “one of the last bastions of the 19th century,”3 and incumbents were scrambling to adapt. We call this situation the Darwinian Economy, and it appears it will be with us for a while. The total global money supply is estimated at somewhere between $80 trillion and $240 trillion, with pension funds alone representing approximately $36 trillion. This abundance of capital is making its way into the insurance industry in the form of alternative capacity – money provided outside of traditional reinsurers from sources such as pensions, sovereign wealth funds, and hedge funds. 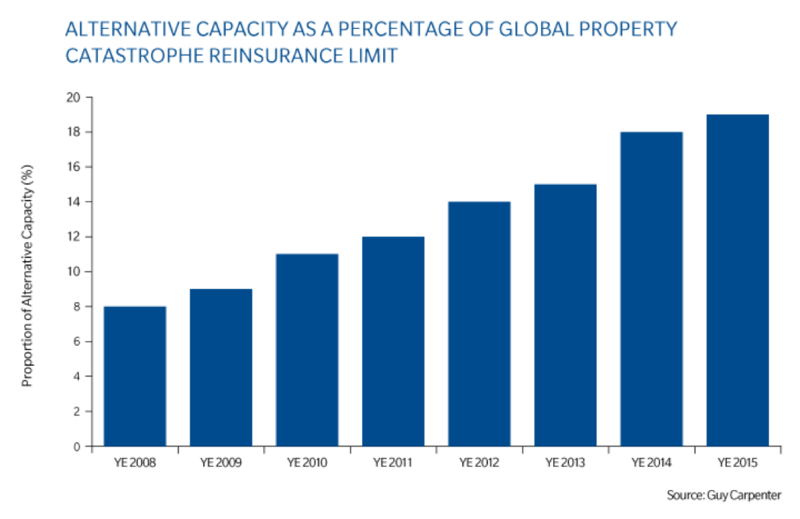 It is now over 20% of the global property catastrophe reinsurance limit and is expected to double by 20184. What’s been the impact of this new capital? For one, it has lowered reinsurance rates, leading to increased capacity among insurers and generally soft rates. It’s also been funding many of the insurance startups that have been the primary drivers of industry disruption. Funding for these upstarts reached a record $2.7 billion last year, and the number of investments in these companies is expected to exceed 75 this year, up from just one in 2012. As if ready capital wasn’t enough to fuel industry disruption, technology too has become a commodity, dramatically reducing the cost and expertise required to launch a new software-enabled venture. As tech guru and founder of Netscape, Marc Andreesen, stated in 2011, “all of the technology required to transform industries through software finally works and can be widely delivered at global scale. "5 Five years later, the evolution of cloud computing has made this vision a reality. With access to data centers run by companies such as Microsoft, the cloud has become the great equalizer. Instead of spending millions to create a data center, companies can now build applications that run on world-class remote data centers at a fraction of the cost. Moreover, the cloud’s economical storage and processing power, and state-of-the-art security, have enabled the growth of data-driven businesses that can sense and adjust to opportunities and threats in near-real time. The twin forces of commoditized capital and technology have created a dissonance between many of the policy admin solutions on the market and the needs of the marketplace. Faced with increasing competition in the industry, insurers need to be more adaptable and responsive, yet most of the policy administration projects underway in 2016 were stalled, creating a chilling effect on business. The typical core system implementation takes as long as five years, requires a large number of resources, and carries an exorbitant price tag. This has created a lock-in scenario and many insurers mired in these projects have found themselves robbed of the flexibility to adapt to market shifts. Further compounding the problem, a majority of these implementations are failing to hit their original completion date or scope, and are drastically over budget. The opportunity cost of these failed and failing projects is potentially fatal in today's Darwinian Economy. At a time when rapid implementation, low entry cost and nimble systems are most critical, insurers are suffering from project fatigue. They are simply worn out by the toll these large projects have taken. We believe this is the primary reason for the slowdown in core system replacements noted earlier. So, what is in store for the insurance industry in 2017? While none of us have a crystal ball to predict exactly what will happen, there are a couple of principles that can be applied to capital and technology that provide some clues. Using the “Rule of 72”7 capital is likely to double in approximately ten years. This compounding effect suggests that capital will remain a commodity in the new year and for the foreseeable future. 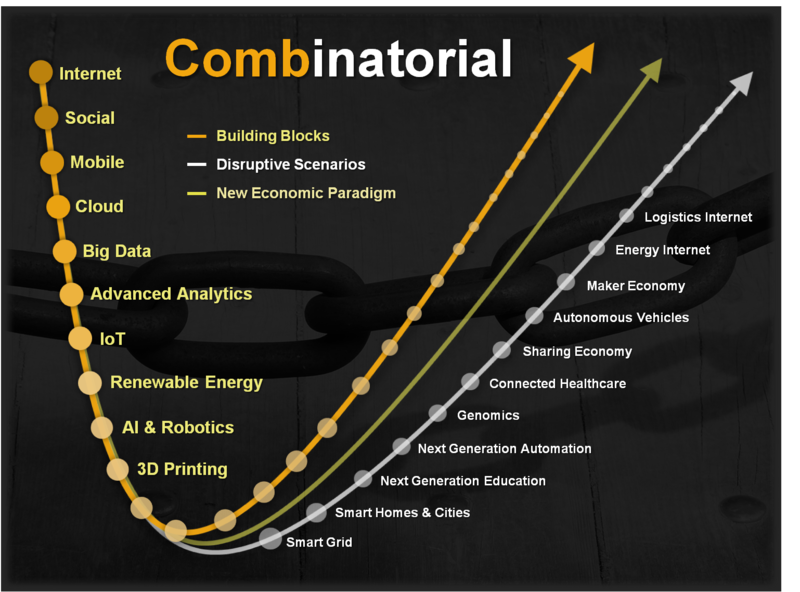 A similar compounding effect can be expected for technology, through a mechanism called “combinatorial evolution”8, the combining and re-combining of existing technologies to create new ones, a process that fuels exponential growth. So, readily-available capital and technology will continue to drive new entrants into the market which means the Darwinian Economy may be “the new normal”. Brutal competition will be the rule rather than the exception. Expect more industry disruption, and with it more opportunity. Key targets will be small business, cyber risks, business interruption, and social services. Distribution models will continue to be a key focal point, too. Many PAS solutions do not possess the architecture required for rapid, low-cost changes. While billed as configurators, many of these systems require extensive customizations to a separate version of software for each client. 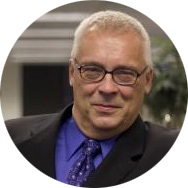 Many PAS vendors use system integrators as their distribution channel. These SIs embrace and encourage large projects because of the service revenue they receive from them. Many PAS vendors have a business model that drives them toward large implementations with healthy service fees. They are either publicly traded or owned by a private equity firm, both of which expect growth rates of ten percent or better. Creating a SaaS offering that is easy to bring up, configure, and deploy would cannibalize their current business. In 2017, expect policy admin vendors to begin attempting to address failure rates. Some will try offering standardized versions of their products using a one-size-fits-all model. Others will seek to acquire those vendors who already provide successful offerings. Still others, constrained by either their business model or architecture, will seek to confuse the issue with diversionary marketing messages. The larger PAS vendors may even try creating new lower-cost offerings tailored to smaller carriers and MGAs at the risk of cannibalizing their current business. While the future is hard to predict, the market has its own relentless logic which is easy to see. The companies that survive and thrive will be those that can adapt to the changes in their surrounding environment and respond to emerging opportunities. Those not flexible enough to do this, will fall by the wayside. Welcome to the Darwinian Economy. 1 Carnahan, Karlyn. Messages for Insurers and Vendors from Increased Software M&A. Insurance Networking News, 22 Aug 2016. Web. 2 Jobs, Steve. You’ve got to find what you love. Stanford Commencement Address. Stanford News, 14 Jun 2015. 3 Suess, Oliver. Insurtech Startups Attract Growing List of Traditional Insurer Partners. Carrier Management, 28 Nov 2016. 4 Guy Carpenter. Chart: Alternative Capacity as a Percentage of Catastrophe Reinsurance Limit. GC Capital Ideas, 6 Jan 2016. 5 Andreessen, Marc. Why Software is Eating the World. The Wall Street Journal. Dow Jones & Company, 20 Aug 2011. 6 Ruzicka, Chuck and Tom Benton. Cloud/SaaS in Insurance Core Applications. Research Council Study. Novarica, Apr 2016. 7 Slavin, Steve. All the Math You'll Ever Need. pp. 153-154. John Wiley & Sons, 1989. 8 Arthur, W. Brian. The Nature of Technology. Free Press, 2011.